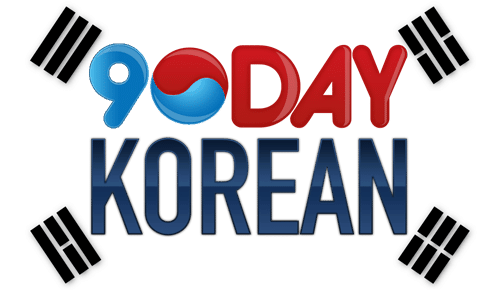 At 90 Day Korean, we love Korean dramas so why not use them in your studies? We’re big fans of studying Korean but also doing it in a fun and interesting way. Whether it’s studying with television, music, or movies, learning through a medium you enjoy is a surefire way to learn Korean fast! So for that reason, we’re going to start an article series of some of our favorite dramas and words you can look for to supplement your Korean studies while you watch. So get comfy and grab a pen and pad because we’re reviewing the 2016 hit drama 낭만닥터 김사부 (Nangman deokteo Kim sabu) or in English, “Dr. Romantic“. Let’s get started! This drama takes place in a hospital where a former surgeon went into hiding after certain rumors about him spread in the medical industry. Dr. Kim stepped down from his post and disappeared from the public eye for many years. Before he went into hiding, Dr. Kim rescued a young boy who had attacked several doctors and nurses in the hospital because he believed that his father would not have died if they had helped him first instead of a VIP patient. Dr. Kim taught him that if he wants to take revenge, he must be a better person and beat those people with his skills as a doctor. Years passed and the boy became a doctor and as an intern he met a female resident doctor who also went into hiding after she had an accident. This was a life-changing experience for her. She injured her wrist which is a death sentence for the career of a surgeon. These three people are cast in a far flung hospital where importance is not in advanced medical equipment, but the medical practitioner’s skill. They are joined by people who have their own agendas and backstories that led them to work in that hospital. This is not your ordinary medical drama with fancy advanced medical equipment and hospital facilities. This is a medical drama where emphasis is placed on medical skills and knowledge is given far more importance than the resources available. The story also showcases the reality of politics in the medical industry. Another factor that makes this drama really good is the fact that every character has their own story to tell. The writers didn’t miss a chance dive into their individual backstories. Every character is given an ample amount of time to be explored in the drama. Aside from the story, the entire cast is enjoyable to watch. The main character is played by none other than renowned veteran, Han Suk-kyu. He lives up to his name as a skilled master of his craft as he portrays the role of Dr. Kim. Yoo Yeon-seok and Seo Hyun-jin play alongside Han Suk-kyu as the main characters of this drama. If you’re wondering about the romance line, it’s to be had in the roles of Yoo Yeon-seok and Seo Hyun-jin. This drama also gives a spotlight to rookie actor Yang Se-jong. With the combination of its great story, pace, and cast, it’s no wonder this drama got an average of 20% in viewership ratings. Can't read Korean yet? Click here to learn for free in about 60 minutes! The drama kicks off with the story of a boy begging for the attention of doctors and nurses in a hospital to save the life of his father. Unfortunately, he is ignored and this causes his father to die. Afterwards, he sees a doctor coming out from the operating room delivering good news to the family of a VIP patient he just operated on. Hearing this angers the boy who attacks the doctor blaming him for his father’s death since they came in before the VIP patient. He creates chaos in the hospital until he’s restrained. When the boy regains consciousness, he hears a doctor telling him that taking revenge through violence won’t bring him any comfort. He tells him that if he wants to take revenge, he must become a better person and beat them through his efforts as a person. Cut to the present, the boy Kang Dong-joo is now a doctor taking his internship in the hospital where his father died. He is very focused on becoming a good and skilled doctor that he doesn’t pay any heed to seniority or having amicable relationships with others. He’s put assigned to the team of an experienced female doctor, Yoon Seo-jung. However, one event will make Kang Dong-joo admire Yoon Seo-jung not just as a doctor but also as a woman. 니가 바뀌지 않으면, 아무것도 바뀌지 않아 If you don’t change then nothing will change. 우리 엄마가 먼저왔는데요 But my mom came first. In this episode, Seo-jung discovers that she hurt her wrist which could affect her ability to perform surgeries. She’s told the harsh reality that she cannot fully recover from her injury and won’t be able to perform surgeries again. Also in this episode, Kang Dong-joo officially joins the surgery department of the hospital where he was once an intern. He was the top scorer in the certification examination that allowed him to join that department. However his rival, Do In-bum, also joins the same hospital. He is the son of the director who was also the doctor who Kang Dong-joo attacked and blamed for his father’s death. The battle between Kang Dong-joo and the Do’s (both father and son) begins in tandem. The first battle leads to Kang Dong-joo being sent to a far off hospital. He is so frustrated that when he arrives in Doldam hospital, he can’t contain his emotions. He is disappointed and disgusted with the environment of the new hospital he’ll be working at. This leads to arguments and confrontations with Dr. Kim as he has a different perspective, that of being a doctor and treating patients. Kang Dong-joo is used to the practices of big hospitals while Dr. Kim has almost the opposite approach and beliefs, placing more faith in skill than technology. In Doldam, he also reunites with Seo-jung again. 잘해보자 Let’s do well/ Let’s do this. 열심히 하겠습니다 I’ll work hard. In this episode, Seo-jung is on the opposite side of the operating table to undergo wrist surgery. Dr. Kim, Dong-joo and nurse Oh are all part of the team that will perform the surgery. It’s not surprising since Doldam hospital doesn’t have the staff for it to be anyone else. While Dr. Kim is performing the surgery, Kang Dong-joo is mesmerized by how fast and skilled he is. He is able to finish the most critical part of the surgery within 30 minutes just like he planned. Nurse Oh also impresses Dong-joo for knowing immediately all the things Dr. Kim would ask of her. When the operation is finished, Dong-joo approaches Dr. Kim and asks him who he really is. However this conversation leads to an argument between the two. Because of Dong-joo’s arrogance, he is left embarrassed by the words of Dr. Kim. Sometime later, he calls his senior at his previous hospital and informs him that he met Seo-jung in Doldam hospital and asks him to look into the background of a person called Dr. Kim. However, he’s unable to gain any information about him. 13분 남았습니다 13 minutes left. The post K-Drama Words and Phrases: Dr. Romantic appeared first on 90 Day Korean®.